Taiwan Promises Not to Forcibly Repatriate Chinese Asylum Seekers: Activist - Integration Through Media ....! Taiwan officials have given assurances that the authorities won’t forcibly repatriate two Chinese dissidents who are currently camped out in its international airport awaiting a decision on their asylum applications, according to a prominent democracy advocate. Wang Min, chairman of the U.S. branch of the China Democracy Party (CDP), flew the democratic island on Oct. 6 to give evidence in support of Yan Kefen (also known as Yan Bojun) and Liu Xinglian, who have been stranded in a lounge at Taipei’s Taoyuan International Airport since Sept. 27. 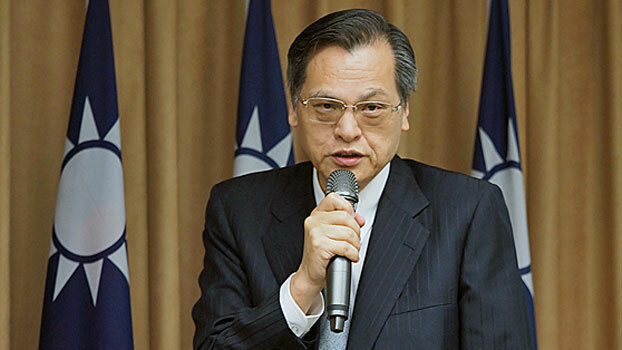 Chen Ming, an official with Taiwan’s Mainland Affairs Council (MAC), told Wang that Taiwan president Tsai Ing-wen had a policy of not forcibly repatriating Chinese asylum claimants, regardless of whether their applications were successful. “The approach would be to make sure that they have a place to stay and food to eat in the confines of the airport, and the main thing is to ensure their safety,” Wang said after the meeting on Friday. He said the government had taken “protective measures” to ensure that Yan and Liu couldn’t be reached by people who had no business with them. “President Tsai Ing-wen has an overall policy not to allow people who have suffered persecution to be sent to a persecutory environment,” he said. Yan said he and Liu are currently camped out near the VIP lounge in the airport, and are currently confined to a lounge area and a corridor. “There isn’t an awful lot of room to move around here, and so we would like to request that we be escorted out to get some sunlight, if there is any,” Yan said. “We would also like to be allowed to go online, to find out what is happening in the outside world, and to make contact with other people, and to access support from the international community and human rights groups,” he said. The MAC said the government will guarantee the two men’s safety during the transit period, and will consider international treaties, human rights protections, legal precedents and relevant laws and regulations in Taiwan in handling their case. Liu is a founder member and secretary-general of the often-targeted dissident group China Rights Observer, while Yan is a member of the New Citizens’ Movement to hold officials to greater democratic accountability, whose founder Xu Zhiyong served a four-year jail term for his activism.